Andre Jobin Interview with Bruce Duffie . . . . . . . . .
André Jobin. Tenor, actor, stage designer, b Quebec City 20 Jan 1933. After 10 years in New York, he went to Paris, where his family had settled, and began studying drama with Pierre Bertin and Suzanne Nivette of the Comédie Française. In 1952 he performed as a member of the Compagnie Jean-Louis Barrault-Madeleine Renaud in Europe, the USA, and Canada. During this time he also studied singing, first with his mother and later with Janine Micheau. As a singer he made his debut in 1958 at the Théâtre de l'Étoile in Nouvelle-Orléans, a musical comedy by Pascal Bastia and Sydney Bechet, who starred in it. His aptitude for playing juvenile leads in operetta subsequently was demonstrated in Joseph Kosma's Bilitis et l'amour (the role of Cynésias) and in Georges Van Parys's Le Jeu des dames (1960). The following year he tackled classical operetta, particularly the Viennese, where the leading roles gave him ample opportunity to display his talents as a singer and actor. Jobin turned to opera in 1963, performing the title roles in Gluck's Orphée, Haydn's The Apothecary, and especially Pelléas et Mélisande. He first sang Pelléas in 1963 at the Opéra-Comique in Paris and repeated it in the famous houses of Berlin, Brussels, Madrid, and San Francisco, where a reviewer declared: 'Vocally brilliant was the new young tenor, André Jobin, who made a thoroughly believable and princely Pelléas' (San Francisco Chronicle, 5 Nov 1965). He repeated Pelléas at the New York City Opera in 1970. Jobin pursued his career in operetta successfully in premieres and in standard repertoire in France and in many other countries. He went to Australia in 1968 to perform Valses de Vienne and made his CBC TV debut as Ange Pitou in Lecocq's La Fille de Madame Angot. He then played the role of Guy Florès in Benatzky's L'Auberge du cheval blanc at the Théâtre du Châtelet in Paris (1968-9). 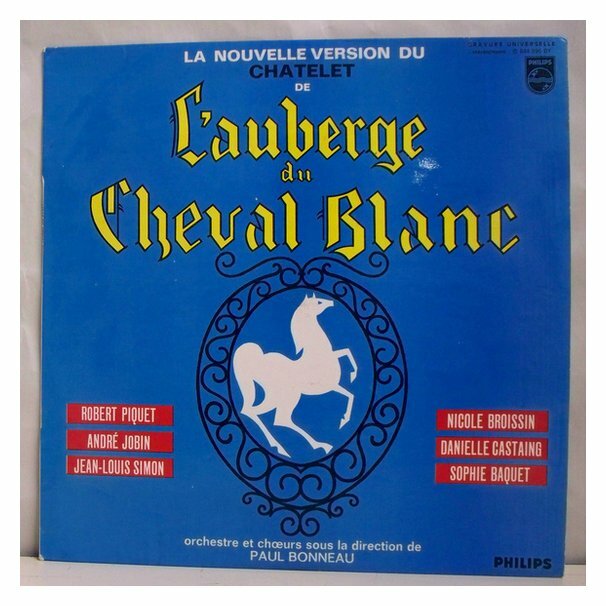 His participation in the recording of Lecocq's operetta Le Petit Duc earned him a 1968 Grand prix du disque. 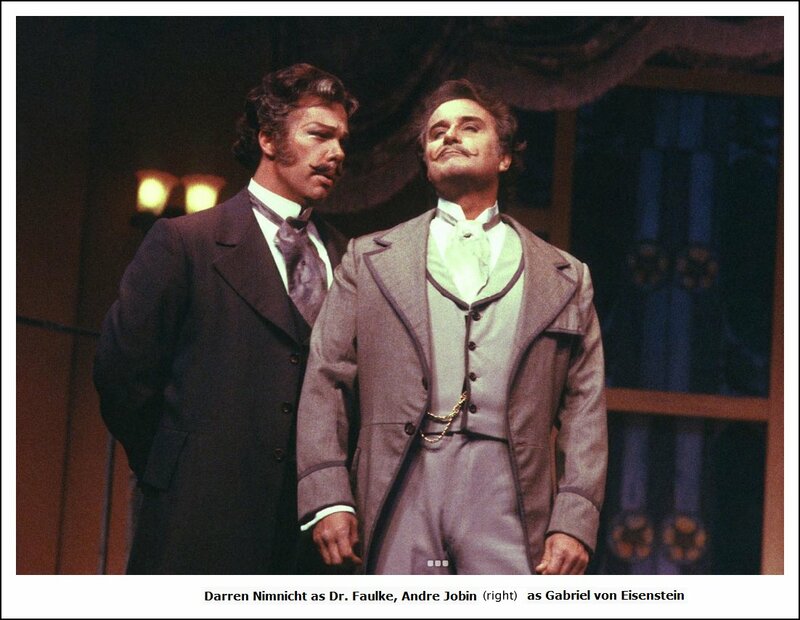 In 1970 he sang in Die Fledermaus in Geneva and The Merry Widow on CBC TV. 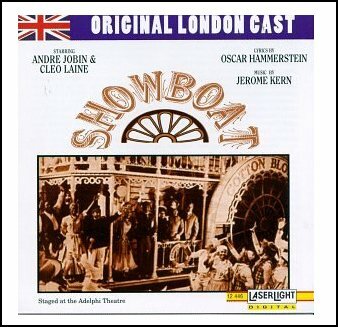 His career took a new direction in mid-1971, when he accepted the producer Harold Fielding's invitation to sing the role of Gaylord Ravenal in a London production of Jerome Kern's Showboat at the Adelphi Theatre. His success in the starring role was so great that he remained in London for almost three years, performing it 935 times. He returned to Paris in 1974 in Jacques Debronkart's Les Aventures de Tom Jones and then embarked on a series of performances of Il était une fois l'opérette at the Théâtre Bobino, a show that had a successful run in Paris before touring Canada in 1975. 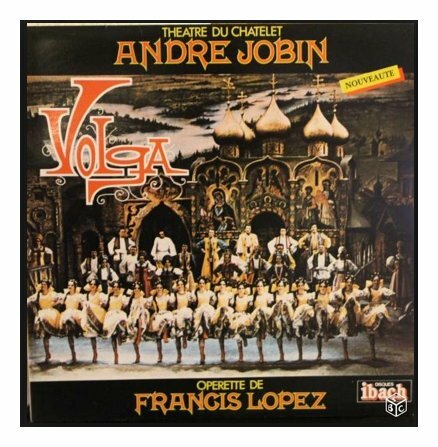 Jobin again distinguished himself on the immense stage of Le Châtelet in 1978 singing Michel Andrassy in the revival of Lehar's Christmas Rose and Boris in Francis Lopez' Volga at the same theatre. The daily L'Aurore described his performance in Christmas Rose: 'André Jobin is the house tenor par excellence. He has youth, vitality, and charm and is one of those singers who are no more afraid of high Cs than of soft notes' (17 Nov 1978). In 1979 he sang the role of Sou-Chong in seven performances of the operetta Land of Smiles at the Grand Théâtre in Quebec City in a production by the Société lyrique d'Aubigny. He sang the role of Angelo in the Italian premiere of Gilbert Bécaud's Opéra d'Aran (1982). He performed more than 2000 times on the Parisian stage and played 96 different roles in some 170 cities throughout the world. He also played such tenor roles as Werther, Roméo, Le Cid (Massenet) and Don José. He staged Manon at the Opéra de Québec (1988) and The Merry Widow at the Opéra de Montréal (1991). It was during the rehearsals for Fledermaus that I had the chance to speak with Jobin. Since I was contributing to The Massenet Newsletter at that time, our topics centered on things French. Bruce Duffie: You say Massenet is more popular here in the United States than France? André Jobin: Oh, much more. AJ: I don't know... Maybe they have better taste here in America! [Laughs] For my taste, I like very much Massenet. BD: Do you like all the Massenet operas or just a few? AJ: The ones I know — Manon, Werther, Herodiade, Le Cid, Esclarmonde — are fantastic things to hear and to sing. They are very pleasant to sing. BD: More pleasant than, say, Puccini? AJ: It's much like Puccini — the same kind of music with the long lyric line, so you can sing out. It takes you. BD: Do you find a connection between Massenet and Puccini? BD: Let's talk about a couple of the roles. Do you enjoy Werther? BD: Tell me about the sad poet. AJ: At that period, the sentiments people had were multiplied by a hundred. Nowadays you don't kill yourself over a love affair — at least not very often — but at that time, people considered suicide a lot. BD: Then does Werther speak to us today or is it too far removed? AJ: Oh no, I don't think so. When you're in the hall and are looking at the performance of Werther, then you see the costumes and you go back to the nineteenth century. So you feel the feelings that are expressed in the opera because you're there, you're onstage, living the thing. It can be that way for any opera or any play. The sentiments of Hamlet don't fit into the twentieth century, but when you're sitting there, you go back to the period when it was written, and then you can accept those sentiments. BD: Suppose a stage director would ask you to do Werther in modern dress? AJ: I'd have no choice. I'd have to do it, but I don't know if I'd approve because then the sentiments would be out of place. The words are not the same. You don't express yourself the same way. BD: Is it an easy role to sing? AJ: Oh no, it's a very difficult role, but when you sing it you get enthusiastic about it because it's so beautiful. But it's very difficult, especially the second act. You come in with an aria, then you have the small duet with Albert, and then the big duet with Charlotte, and then you have one of the toughest arias to sing. So when the second act is finished, you breathe a sigh of relief! There's such an atmosphere in the first act that you are supported by that atmosphere. You don't even think of singing, it's just there. BD: You've had success with the role? AJ: Oh yes, very much. BD: Does the size of the house matter? Is it better or worse in a big or small house? AJ: For me, the bigger the house is the better it is for the singers because the voice takes a much more beautiful color in a big house. It also mixes better with the orchestra. When you're in a small house, you hear the singers and you hear the orchestra. But when you are in a big house — like here in Chicago, for example — it's part of the same thing. The singer and the orchestra mix together, and the quality is much more beautiful. BD: You don't find that you're covered? AJ: Oh, no, you're not covered. The orchestra is a part of the whole sound. In an opera — or any show — you do it with everybody there. BD: Let me ask about Manon and the character of Des Grieux. Is he a weaker character to portray? AJ: He's not weak... or maybe he is because he doesn't master his destiny. The destiny takes him, and he follows that destiny. BD: ...and also by circumstance? AJ: Yes. That destiny is there and he can't do anything about it. BD: Werther is not manipulated, though? AJ: Oh, no. He knows where he is going. He knows what's going to happen. He says so. He's going to end his life. BD: How early on does he know that he will commit suicide? AJ: To tell you frankly, I never thought of that. When you study the role, you first think about the singing role, going through the role. The main character of the opera is very romantic, but he is also a strong man who knows how to make decisions. BD: In their first meeting, if Charlotte had decided to go with Werther, would they have been happy together? AJ: I don't like Charlotte very much. It's a beautiful role, but I don't like the character. I don't know if she loved anyone else that much. She doesn't know if she loves Albert, she doesn't know if she loves Werther. I think she only loves herself! AJ: Well, she's colder. That's what I think, anyway. Everybody's different, so you imagine a role a certain way. All directors have different ways of seeing an opera. BD: Is Des Grieux easier to sing than Werther? AJ: No, Des Grieux is quite difficult, too. The tessitura is much higher, and I think it's longer. It's a very long role, and the two arias are completely different. If somebody sings the Reve very well, then he's not so good in Ah Fuyez, and vice versa. The Reve must be sung like a very light tenor, with very easy modulation in the voice. Then for Ah Fuyez, it needs a big voice that is dramatic. BD: Why would Massenet write those two very different kinds of arias for the same tenor? BD: You don't find it difficult to switch from one to the other? BD: Besides these two roles, have you sung Le Cid? AJ: I'm working on it. It's beautiful, but completely different. Le Cid is heroic, and the sentiments are different. He's a warrior. It's based on the classic Le Cid by Corneille, and it's rather the honor than love that motivates him. It's very tough to sing. All of Massenet is very difficult. Herodiade is the same thing, and needs a larger voice. That's another role I'm preparing. BD: Have you sung Jongleur? AJ: No, but it's beautiful; a tender opera with so much finesse. I've seen it sung by André Dran. He's not known here, and he was so fabulous in that role. Fantastic. AJ: I knew that, but now all those roles are sung by men. Siebel in Faust is done by a man in France, and Niklausse in Hoffmann, and also Stefano in Romeo. They take a light tenor, and I like it that way. BD: Would you sing one of those roles if you were asked? AJ: No, I'm too heavy. I sing mainly roles like Roméo, Don José, Werther. BD: In Carmen, which version do you prefer — with the spoken dialogue, or the recitatives? AJ: I sing it with the recitatives because the dialogue is very poor. It's very badly done. It's almost ridiculous. You can laugh at that dialogue. I've studied it as an actor, and it's absolutely no good. I think that the recitatives are well done. Giraud did a good job. Another thing that I don't like about using dialogue — any dialogue — is that the music stops, and most opera singers don't act that well. BD: But you started out as an actor, so I would think that having dialogue would be right up your alley. AJ: When there is good dialogue, yes. When I do Fledermaus in French, or even in English, I have great fun doing it. The dialogue is very important and it's good, and it can be funny. BD: Do you play off the audience? Do you wait for the laughs? AJ: It's good when you say something funny and the audience responds. BD: Do you feel the audience coming back to you even in dramatic parts? AJ: Yes. It's just a feeling when you walk onstage. For instance, when you come on in Werther, people look at you with the beautiful music going, and you feel if they are for you or against you. By the first step onstage, you must catch them. BD: What can you do if you feel the audience is against you, or if they are asleep? AJ: The audience is never asleep, but sometimes they might be against you and then you have to work very hard. You must never give up. Never. Then you must work a lot because they don't help you. If you feel that the audience is with you, it's much easier. You have confidence in yourself because if they are against you, you wonder if you're bad or it's because of what is going on. It's terrible. BD: Is it like a bullfight? AJ: Yes, especially in Europe. They hiss and boo if there is just one note that they don't like. Sure. It's exactly like a bullfight. BD: What other French roles do you do? BD: Ahh, tell me about Julien. AJ: That's a beautiful part, too. For the audience, though, it's not a role that you have much success in. He's not there in the last act, and the main part is, of course, for Louise. But Julien is very important, and if you sing it very well, you can sing practically anything. It's a very difficult part to sing, one of the most difficult parts. BD: What about it makes it difficult? Is it heavy? AJ: Yes, and it's mixed tessitura. Sometimes it is quite high and heavy, and other times it's brilliant. BD: I've always wanted to hear it because they said it was not a success. AJ: Maybe it was not a success then, but it could be a success now. BD: Would you sing an opera that was not particularly successful some years ago? AJ: Oh, of course. Taste changes so much. For instance, especially here, all the Massenet operas are coming out, whereas before it was just Manon. I remember that the only Massenet my father sang very much was Manon. He sang Werther in San Francisco, but not very often and never at the Met. I started as a baritone. First I started as an actor, then everybody told me that I should sing, but I didn't want to because of my father. I knew how difficult it was to sing. When you are an actor, the difficulty is to be a good actor, but once you are a good actor, you are a good actor until the end of your life. But even if you are a good singer, at a certain point your voice won't hold, and you have to stop. BD: Is it very difficult for you being the son of a famous father? AJ: Yes, I think so. It helps in one point — the name is known, so people come and see you. They know the name, but then they are waiting for something very good. So I try. BD: [With genuine interest] Are you as good as your father? AJ: My father was one of the great tenors of the world. He was a fabulous man, great tenor, great father, great everything. I try to do my best. BD: Your career seems to be going very well! AJ: I started singing as a baritone, and have changed only five years ago to tenor. I don't sing Italian opera very much. I prefer to specialize in French opera. BD: Would it have been better for you, as the son of a tenor, to be a baritone or a bass? AJ: I don't know. I couldn't tell you. It's difficult to have a name. You have to be stubborn in this. You are not always successful, but you must keep on going. The more you work, the more you perform, the better you get. BD: Which baritone roles did you sing? AJ: They were in operetta. After I was in the Jean-Louis Barrault company in France as an actor, when I started singing I did pop songs. Everyone said, "You're an actor and you sing, so why don't you do musical comedies?" So I did a few musical comedies, then light operettas, heavier operettas, then the first opera I sang was Pelléas. BD: Would you ever sing that in translation? AJ: Why not? Everybody disagrees with me, but I think that it would be a good thing to give opera in English in English-speaking countries. In Germany, everything is sung in German; in Italy, they sing everything in Italian, and at the Sadler's Wells in London [now the English National Opera], they do everything in English. I've heard Carmen at Sadler's Wells, and for the first five minutes it's a funny impression, but then it's better. BD: Would you relearn some of your parts, such as Werther or Des Grieux, in translation? BD: Do you have any roles now in two languages? BD: I was wondering if it would be difficult to keep the different texts for the same notes straight in your head. AJ: I don't know, but it's difficult because the reflex you have is to do it the way you learned it the first time. BD: Do you rely on the prompter? AJ: In Europe there is no prompter any more. So if you miss the words, you sing, "La la la," and people say they didn't quite understand that passage. [Laughs] The music always comes, but the words can be lost once in awhile. The orchestra gives you the tune. BD: Do you sing any non-melodic operas? BD: Did you enjoy that music or was it just a task? AJ: It was a task. You can enjoy modern music, but there must be a kind of a melody, not just one sound here, one sound there. There must be a continuity. There are good modern composers. Have you heard of Tomasi? AJ: Yes. He has written two modern operas that are wonderful — L'Atlantide, and Don Juan Mañara. They are absolutely beautiful. In L'Altantide, the main roles are for a male singer and a female dancer, and the other is the mystic part of the Don Juan legend. BD: I've got a list of operas I want to find out more about, so I'll add these two. Henri Tomasi (17 August 1901 – 13 January 1971) was born in a working-class neighborhood of Marseille, France. His father Xavier Tomasi and mother Josephine Vincensi were originally from La Casinca, Corsica. At the age of five, the family moved to Mazarques, France where Xavier Tomasi worked as a postal worker and enrolled his son in music theory lessons. 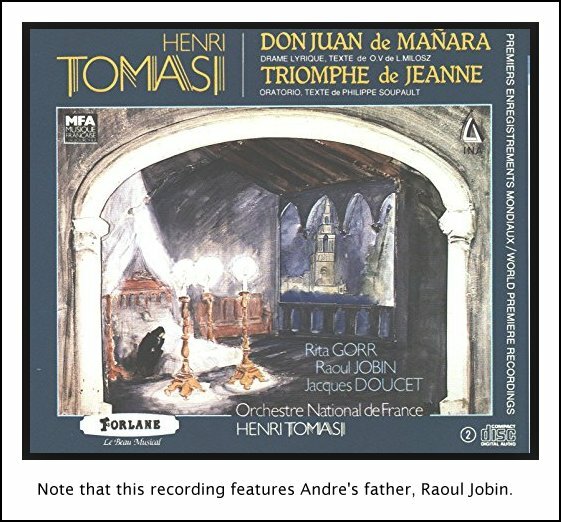 At the age of seven, Tomasi entered the Conservatoire de Musique de Marseille. Pressured by his father, he played for upper-class families, where he felt "humiliated to be on show like a trained animal." In 1913, the family moved back to Marseille. Tomasi had dreams of becoming a sailor and skipped many of his music classes. During the summer, he stayed with his grandmother in Corsica and learned traditional Corsican songs. In 1916, he won first prize in harmony, along with his friend Zino Francescatti, the celebrated violinist. World War I delayed his entrance into the Paris Conservatoire, so he played piano in Marseille to earn money. He performed in diverse venues such as upscale hotels, restaurants, brothels, and movie houses. His gift for composition was developed during this time as he improvised at the keyboard. The early Charlie Chaplin films also intrigued him. In 1921, he commenced his studies at the Conservatoire de Paris with a scholarship from Marseille and a stipend from a lawyer, Maitre Levy Oulman. He still performed at cafes and in the cinemas to earn money. His friend Maurice Franck described Tomasi as a hard worker: "He showed up with a fugue a week, he was indefatigable - an inveterate workaholic." In 1925, his first piece, a wind quintet called 'Variations sur un Theme Corse', won the Prix Halphen. His teachers at the Paris Conservatoire included Gaubert, Vincent d'Indy, Georges Caussade, and Paul Vidal. In 1927, he won the second Grand Prix de Rome for his cantata, 'Coriolan', and a First Prize for Orchestral Conducting, both awarded unanimously. That same year he met his future wife, Odette Camp, at the Opéra-Comique. They wed in 1929. Tomasi began his career as a conductor for Concerts du Journal. From 1930 to 1935 Tomasi served as the music director of the Radio Colonial Orchestra in French Indochina, founded by Julien Maigret during the 1931 Colonial Exhibition in Paris. Tomasi became one of the first radio conductors and a pioneer of "radiophonic" music. During the 1930s he was one of the founders of a contemporary music group in Paris entitled "Triton" along with Prokofiev, Milhaud, Honegger, and Poulenc. He spent equal time composing and conducting. He was one of the conductors for studio broadcasts of the Orchestre Radio Symphonique de la Radiodiffusion Francaise. He made his most memorable recording in 1936 with the extraordinary French mezzo-soprano Alice Raveau in Gluck's Orfeo, which was awarded the Grand Prix du Disque. In 1939 Tomasi was drafted into the French Army and was named marching-band conductor at the Villefranche sur Mer fort. In 1940 he was discharged and took up the baton at the Orchestre National de la Radiodiffusion Française. As a composer, his orchestral music is important, but above all he was attracted to the theater. In the realm of instrumental music, he preferred composing for wind instruments. He composed concerti for flute, oboe, clarinet, saxophone, bassoon, trumpet, horn, and trombone. He also composed concerti for violin and viola. 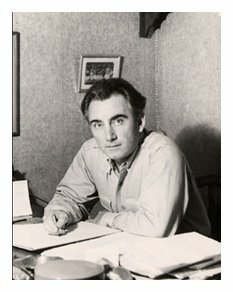 In 1944, his son Claude was born and Tomasi started composing a Requiem dedicated to "the martyrs of the resistance movement and all those who have died for France." Tomasi was disillusioned by the events of World War II and subsequently rejected all faith in God. His Requiem was set aside and was not discovered again and recorded until 1996. In 1946, Tomasi assumed the post of conductor of the Opera de Monte Carlo. He became extremely sought-after as a guest conductor all over Europe. In 1948, he wrote what would become his most popular composition, the Concerto for Trumpet. In 1949 the Concerto for Saxophone was performed by Marcel Mule. In 1956 he composed the Concerto for Clarinet and the Concerto for Trombone. This same year brought the long-awaited world premiere of his opera Don Juan de Mañara based on a text by poet O. V. de L. Milosc. This opera, "L'Atlantide", and the comic opera "Le Testament di Pere Gaucher" established his reputation as an opera composer. 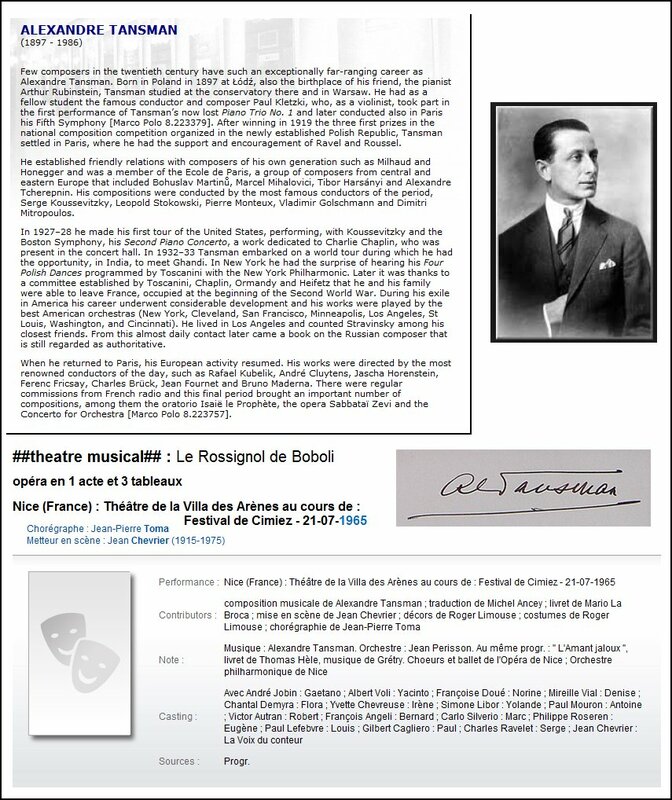 In May 1956 at Bordeaux, his opera Sampiero Corso was premiered, with the Australian tenor Kenneth Neate in the title role. It was repeated at the Holland Festival in June. In 1957, Tomasi stopped conducting because of physical problems, including advancing deafness in his right ear. In 1966 Jean-Pierre Rampal played his Concerto for Flute with the Orchestre des Concerts Classiques in Marseille. His last piece for the theater, "In Praise of Madness (the nuclear era)", is a cross between opera and ballet and contains references to Nazism and napalm. It reflects Tomasi's postwar disillusionment with mankind. During his last period of composition he was motivated by political events and wrote pieces such as the Third World Symphony and Chant pour le Vietnam. In 1969, he held a series of interviews with his son, Claude, called "Autobiography with a Tape Recorder." As his health deteriorated, he began working on an operatic version of Hamlet. On 13 January 1971 he died peacefully in his apartment in Montmartre, Paris. He was buried in his wife's family tomb in Avignon. Later, to celebrate the centennial of his birth, his ashes were moved to the village of his ancestors in Penta di Casinca, Corsica. Tomasi's music is fundamentally lyrical. Diatonic and chromatic melodic lines predominate supported by tertian and polychordal harmonies. His music is highly colorful and one can hear the influence of his French contemporaries. Exotic sounds and colors of Corsica, Provence, Cambodia, Laos, the Sahara and Tahiti are used. He also wrote music inspired by medieval religious songs. He utilized many styles including Oriental recitative and twelve tone techniques but they were always personal and unique to him. Tomasi said: "Although I haven't shirked from using the most modern forms of expression, I've always been a melodist at heart. I can't stand systems and sectarianism. I write for the public at large. Music that doesn't come from the heart isn't music." His earliest influence stemmed from a performance his mother took him to of the opera La bohème. He wept over the tribulations of the main character, Mimì. In fact, he felt that La bohème was responsible for his musical destiny. It gave him a great passion for lyrical theater. Later he heard Bizet's Carmen and learned about Mussorgsky through Boris Godunov, and Debussy through Pelléas et Mélisande. He was influenced by Ravel, and later by Richard Strauss. Richard Wagner was never an influence on him. His harmonic inspiration derived from Debussy and Ravel. He felt that his experience from conducting enabled him to orchestrate with more skill. He felt that dodecaphonic music could be used occasionally when needed or called for. He thought that the inherent danger in electronic music was that it was devoid of the human factor: "...the end of the heart -a world filled with nothing more than the sound of machines!" Tomasi frequently based his works on a text of some sort, even if words were not actually used. To translate Tomasi's views on his own music: "My musical knowledge is not based on any system. The sensibility expresses itself and the mind controls. What good is it to invent new forms of speech? Everything has been said and everything has been done." Tomasi was primarily interested in "man and his passionate style." An hour-long documentary film produced by Jacques Sapiega was made in 2001. AJ: One other opera you should find out about is L'Opéra d'Aran by Bécaud. It's a pity that the recording is not good because it's a wonderful opera. We just gave the Italian premiere in Cremona, and it was a huge success. There's a beautiful theater. It's exactly like La Scala but one yard less wide. 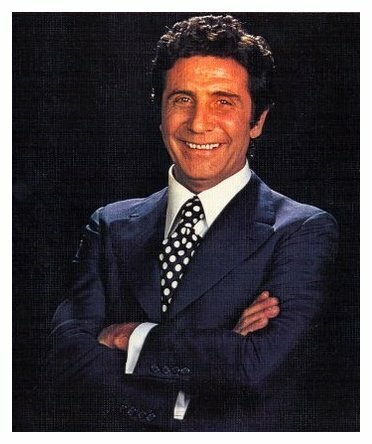 Gilbert Bécaud (24 October 1927 – 18 December 2001) was a French singer, composer, pianist and actor, known as "Monsieur 100,000 Volts" for his energetic performances. His best-known hits are "Nathalie" and "Et Maintenant", a 1961 release that became an English language hit as "What Now My Love". He remained a popular artist for nearly fifty years, identifiable in his dark blue suits, with a white shirt and "lucky tie"; blue with white polka dots. When asked to explain his gift he said, "A flower doesn't understand botany." His favourite venue was the Paris Olympia under the management of Bruno Coquatrix. He debuted there in 1954 and headlined in 1955, attracting 6,000 on his first night, three times the capacity. On November 13, 1997, Bécaud was present for the re-opening of the venue after its reconstruction. BD: How are the acoustics? BD: Do the acoustics of the various theaters make a difference to you as a performer? AJ: Yes. Some acoustics are like you are singing and there's cotton in your ears. That's very dangerous because then you have a tendency to push the voice. So you must get used to it when you get in the theater. Here in Chicago it's absolutely fantastic. I love it. BD: That's interesting especially since it's such a big theater. AJ: But usually, the bigger the theater is, the better it is for the voice. BD: Have you sung outdoors — like at the arena in Verona? AJ: I have sung in a kind of outdoor Roman Circus in Nice. It is a huge thing — 15,000 people. I sang Gluck's Orphée there, and it was wonderful. BD: We've touched on Pelléas a bit, so let's go back to it for a moment. What kind of man is Pelléas? Is he confused? Is he unhappy? AJ: Maybe Pelléas is a little like Des Grieux in Manon. Everything commands him, but he doesn't command anything. Everyone tells him what to do. AJ: Yes. Absolutely. Absolutely and completely. BD: I've often wondered if they'd have gotten along well if Pelléas had found Mélisande in the forest instead of Golaud. AJ: Then it would have been simple, but nobody has been able to know exactly what character Mélisande has. Golaud is a very simple character. He's just a man, a powerful man, and his mind is very straight. BD: Golaud meets Mélisande in that first scene and takes her. But if Pelléas had met her when she was in that condition, I don't know if he could have taken her. BD: I've often thought of rewriting operas so they're happy together, or so the villain gets killed in the first act instead of the last. AJ: I did Pelléas with Frank Corsaro at the New York City Opera, and that was the best I've ever done. It was beautiful and he had a very good idea of the whole opera — very different, and very intelligent way of doing it, a very smart way to do it. At a certain point, it was like a game. Mélisande and Pelléas speak to each other but they never answer. People don't understand that, and Corsaro made it like a game. The characters were playing together, amusing themselves, as if they were teasing themselves, and there was a link. Yniold was always there following them all the time. BD: Even when there was nothing to sing, Yniold was there? AJ: Yes. He was always passing there. BD: Did they have a boy to sing it? AJ: Yes, and it's a pity I don't remember the name of that boy because he was a genius. Everybody was in the wings to look at him sing. He was fantastic. He was a boy, so you don't know what will happen when the voice changes. Robert Puleo began his singing career as a Boy Soprano, in the role of AMAHL in Menotti’s Christmas opera, Amahl and the Night Visitors, under the personal direction of the composer himself. His appearances as a tenor soloist include The Bronx Opera, Alice Tully Hall, Symphony Space and the Listening Room on WQXR. Last spring he appeared as a guest artist with the critically acclaimed vocal chamber ensemble, The Western Wind, in a series of Polish Renaissance Music concerts at the Folger Library in Washington DC with the Folger consort. 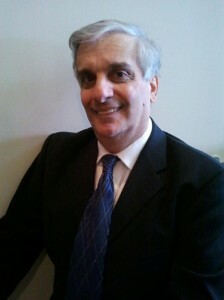 A prolific composer, Mr. Puleo is currently Composer-in-Residence at Trinity St. Paul’s Episcopal Church here in New Rochelle, where his commissioned anthem, CANTICLE: TE DEUM, was presented at that parish’s 325th anniversary service in 2013 with the United States Presiding Bishop of the Episcopal Church in attendance. His song, QUEEN CITY OF THE SOUND, was composed for, and performed at New Rochelle City Hall’s flag raising ceremony, kicking off our year long 325th anniversary celebration also in 2013. We never did get around to the Italian roles, so what Italian roles do you sing? AJ: None. [Seeing a funny expression on the interviewer's face] You're surprised? I would like to sing Tosca, but now, especially in Europe, when you have an Italian opera, you have Italian singers. BD: You don't sing Italian opera in France? AJ: There is a lot of Italian opera in France, but they bring in Italian singers. AJ: Yes, I like it, but the ones I've done never had enough time to really do them. We were always rushing. It's like that very often in Europe. BD: How does the fact that audiences hear so many recordings affect your performance? AJ: I think it's very dangerous because they hear the recording which is done under good conditions. For instance, if a note is no good, you start and sing only that note so it can be perfect. When you're onstage, even when it's the same person who made the recording, it's impossible to sing perfectly the whole performance. Many people expect to hear the same thing they heard on their machine. Also, if they've listened at home to it very loud, then they get into the theater where there are no mikes, and it's a deception for them. BD: Then do you feel that recordings do a disservice? AJ: It's like television. It makes a singer known so it's good promotion, but it's dangerous when people come to hear you on the stage. Opera — and all show business — must be seen onstage. We are not people working for machines. Recording is a machine, and when you're onstage you need to feel the audience. That's what we're made for, and that's what I like. BD: Have you been on TV? AJ: Yes and I don't like it. I do it, of course, but I don't appreciate it. You look in a machine and that's all. It's a piece of wood. It's not alive. BD: So there was no studio audience then? BD: Have you been involved in a live performance in a theater that has been televised? AJ: No, but in that case it's not the same thing because you have the audience, and you forget that you are doing it on television. BD: So the television is just part of the audience that's already there. Is that, maybe, a better way of doing it? AJ: I would prefer that, but then you cannot cut and start again if it's no good. It's like a live show which is always interesting. That is what makes those "pirated" recordings so interesting. It's the real thing with all the good things and all the bad things. BD: You've been on the radio to broadcast live performances. Are you happy with those? BD: What is next on the agenda? Will you be back in Chicago? AJ: I hope to be back here, but we haven't discussed it yet. I like to come here because there is a very good ambiance at the theater. People are charming... everybody. BD: That's a good recommendation for us! I like to hear that kind of thing from those who come here from other parts of the world. AJ: It's a really warm welcome you have here when we arrive, a very warm welcome. BD: I missed the Merry Widow last season because I was working all the time it was playing, but we're coming Saturday to Fledermaus, so we're looking forward to it very much. AJ: Saturday evening or matinee? AJ: It's going to be tough for me because I do all the performances. [Some of the other roles are double-cast.] So we do Friday night, Saturday matinee, Saturday night. It's going to be tough. BD: Sunday you can go home and sleep. BD: Is that asking too much of you to do Friday, Saturday and Saturday again? AJ: It's tough, but at a theater in Paris during Christmas time we did Friday night, Saturday matinee, Saturday night, Sunday matinee and night, and Monday matinee and night. So it's like entering a tunnel on Friday and you couldn't see the end of it. But we did it and then everybody was out. BD: How much can you keep that up? AJ: Oh, you can do that once in awhile, but it's impossible to be like that all the time. It's too much. BD: You're doing that two weekends here. AJ: But it's just one day of matinee/evening. But still, it's difficult because in Fledermaus, I yell a lot and move a lot in the first part, so it's tiring for the voice. BD: In your long-range plans, do you schedule time off from performances? AJ: For instance, if I have some Fledermaus to do like this, and then an opera like Manon or Louise, then I'd try to have at least a week in between to change tessitura and change everything. BD: Will you be singing heavier roles in the future? AJ: Yes, I think in the future I'll be taking on much heavier roles. Maybe Lohengrin, but that's maybe in 10 years. But we'll see what happens. BD: We wish you lots of continued success. AJ: Thank you very much. This conversation was recorded in Chicago in May of 1982. The transcription was made and part was published in The Massenet Newsletter in June of 1984. The full transcript was posted on this website at the end of 2016.